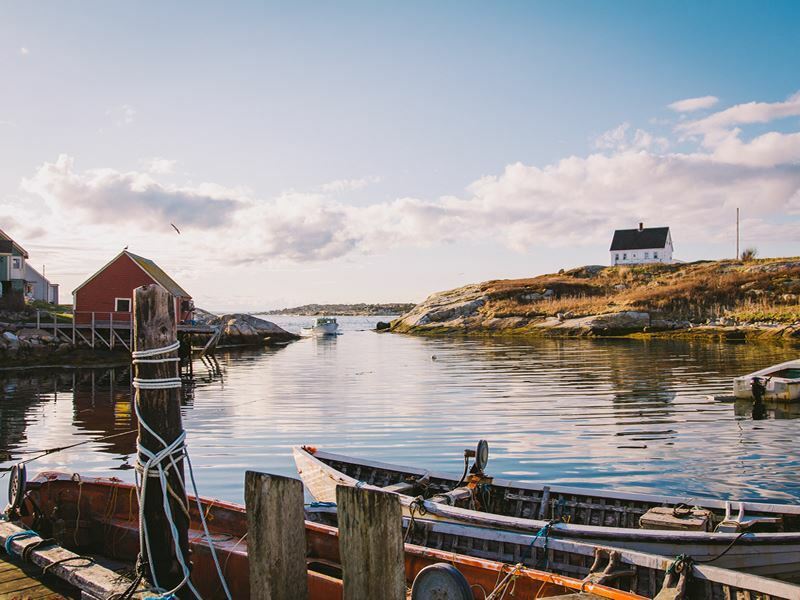 Nova Scotia offers practically everything when it comes to an unforgettable holiday destination, from a rich maritime history, beautiful seaside villages and picturesque lighthouses to fresh seafood, Celtic tunes, stunning landscapes, vineyards and incredibly friendly, welcoming locals. Its economy, history and identity is intrinsically tied to the sea – in fact, no matter where you are, you’ll never be more than 42 miles from the water. Some even say saltwater flows through the veins of every Nova Scotian. 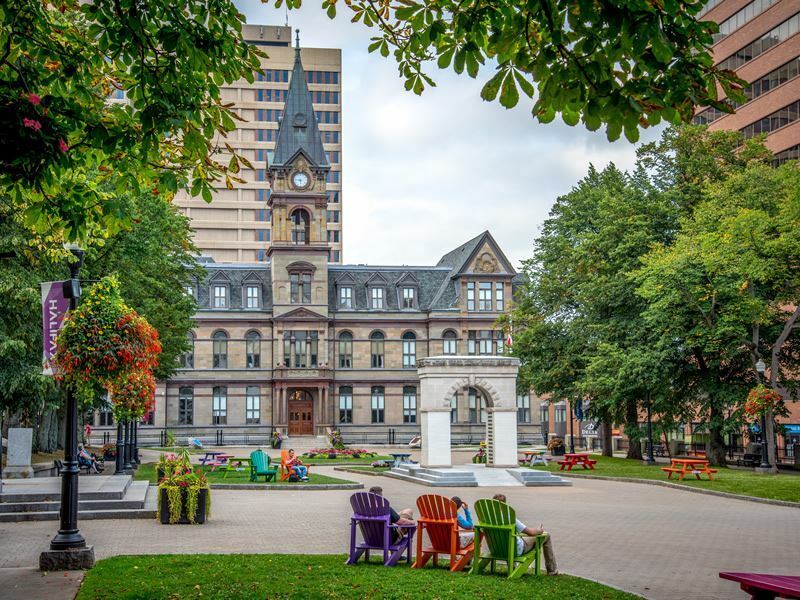 The capital of Nova Scotia offers big city amenities with small town charms, much of it credited to the hospitality of its welcoming residents, though that’s something the entire province is known for. Halifax boasts a wonderful seaside location, beautiful beaches, magnificent historic architecture and multiple interesting fishing villages nearby. As one of Canada’s oldest cities, it’s also filled with museums. 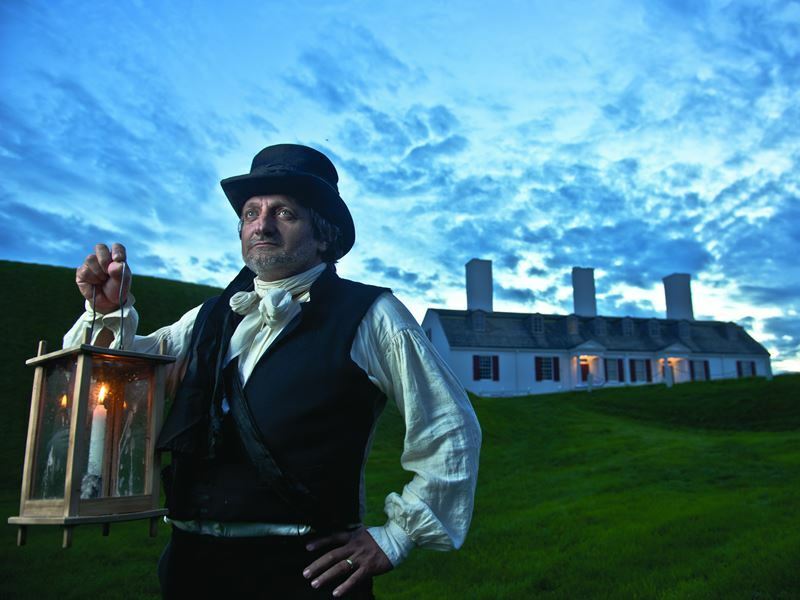 Start your explorations with a visit to the 18th century fortress, Citadel Hill which overlooks the city, and be sure to wander over to the Maritime Museum of the Atlantic and the Canadian Museum of Immigration before popping into one of the many pubs and bars hosting live music. Exploring its fine dining scene is a must as well, renowned not only for fresh seafood, but well beyond, taking advantage of the region’s noteworthy farms and craft breweries. Sydney is the gateway to Cape Breton Island, a place known for its uniquely Gaelic origins, abundance of fresh-caught lobster and countless lively pubs where the soulful sounds of the fiddle are frequently heard. While the island’s main port and largest urban area isn’t known for its tourist attractions, it does make a convenient base for explorations of Cape Breton as well as offering a scenic waterfront popular for walks and busker entertainment. You may want to take a selfie next to the world’s largest fiddle, constructed to honour the island’s impressive musical talent. Annapolis Royal is referred to as ‘Canada’s birthplace,’ and is a must-experience for history lovers, with over 150 historic sites and heritage buildings, along with a wealth of antique shops. It was the site of the nation’s first permanent European settlement, founded in the 17th century by the French. This quaint seaside town is also home to the oldest National Historic Site in Canada, Fort Anne. Here you can view the Royal Charter from which the province gets both its flag and its name. Situated between the mountains and the sea, this beautiful city also hosts a lovely waterfront area lined with a number of restaurants and shops, as well as a vibrant arts and culture scene. Digby is a charming town that serves as a port for the year-round ferry services that cross the Bay of Fundy, going to and from Saint John, New Brunswick. It has a rich seafaring history that can be explored at the Admiral Digby Museum, and a pretty waterfront, but it may best be known for its delectable scallops. 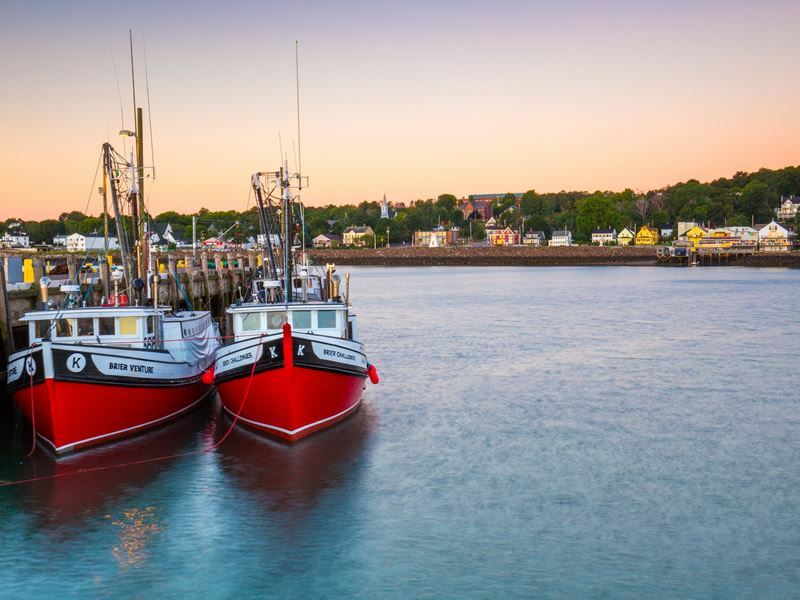 The harbour hosts the largest inshore scallop fleet in the world, and there are multiple restaurants and pubs for indulging in Digby’s famous cuisine along with other local specialties like lobster and Digby chicks (salted and smoked herring fillets). Parrsboro is a community that may best be known as an ideal spot for witnessing the highest tides in the world, the Fundy tides, with some 100 billion tons of water rising and falling here twice each day. They sculpt the coastline that’s filled with deserted beaches and soaring sea cliffs, uncovering semi-precious stones and fossils. 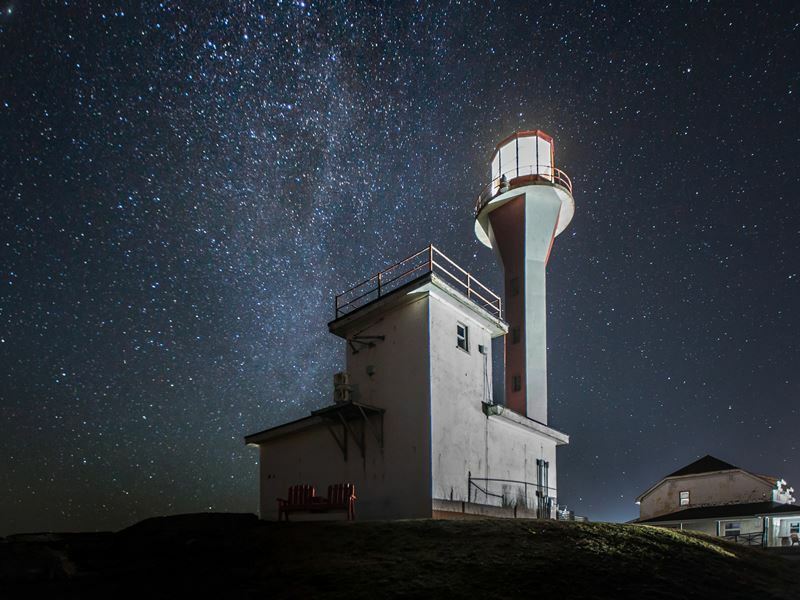 The Fundy Geological Museum is located here, offering the chance to take a more in-depth look at the geology, fossils and minerals of the Bay of Fundy, as well as some of the oldest dinosaur bones in Canada. Wolfville is located in the heart of Nova Scotia wine country and hosts a number of wineries just minutes from its downtown area, like Gaspereau Vineyards, set in the rolling countryside, with a tasting room inside a replica barn, guided tours, live music and more. 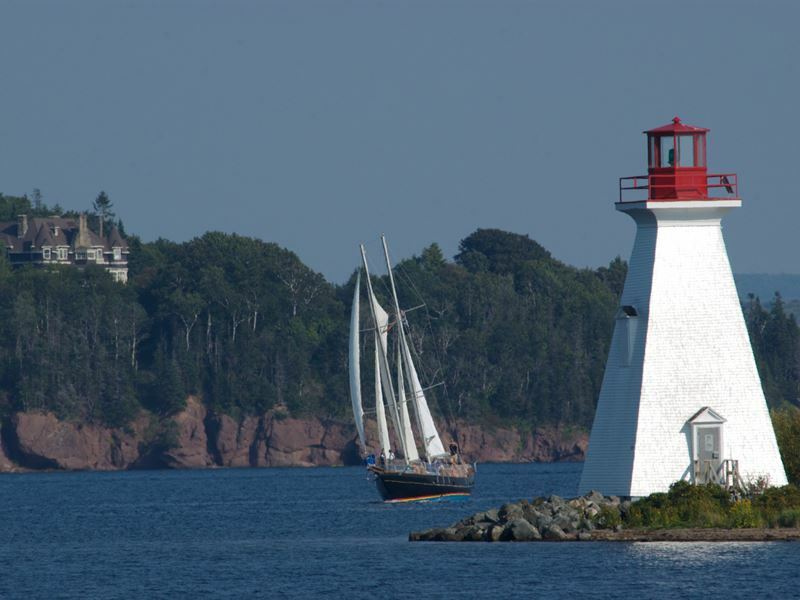 The town itself has a New England-like feel, filled with alluring tree-lined streets and grand Victorian architecture, and from its Waterfront Park, you can also explore the Bay of Fundy’s famous high tides. Antigonish is considered a hub for Acadian and Gaelic culture, and hosts one of the province’s biggest universities, St. Francis Xavier, which was established by the town’s settlers, a group of Catholic Scots, in the late 18th century. It’s also home to the oldest continuous Highland games outside of Scotland, hosted annually in July, featuring a parade, bagpipe players, fiddlers, dancing, heavy-lifting events, a sidewalk fair and more. New Glasgow sits along the banks of the East River of Pictou in Pictou County, and is at the centre of the fourth largest urban area in Nova Scotia. The best way to explore it is to walk on the riverside trails and stroll past the historical buildings on Provost Street. The Carmichael Stewart House Heritage Museum is the place to go for learning about the area’s history, while Memerby Beach Provincial Park, which has a long, sandy beach, sits at the edge of the warmest waters in Atlantic Canada, providing an ideal place for a dip on a warm summer day. Tatamagouche is a thriving seaside village located on the Northumberland Strait at the south side of Tatamagouche Bay. It offers a number of attractions, including the waterside Creamery Square which hosts an award-winning heritage centre and a performing arts centre. Visitors can also visit the Wallace and Area Museum, which features more than 1,000 artefacts, gardens and short walking trails, as well as an 1894 sawmill and the 1874 Balmoral Grist Mill where you can watch demonstrations to see it in action, just as it was in the 19th century. This vibrant village is situated halfway between Sydney and the Canso Causeway, making it a popular spot for a break for those travelling the Cabot Trail highway as it serves as the beginning and end for the world-famous scenic 185-mile loop at the tip of Cape Breton Island. Alexander Graham Bell chose this area as his summer home, and today, his life is celebrated through the exhibitions at the Alexander Graham Bell National Historic Site, which displays telephones, telegraphs, kites and other artefacts related to the inventor. This rural community on the Eastern Shore is popular for its excellent salmon fishing on the nearby St. Mary’s River, though it’s best known for offering the chance to step into a village that has changed little over the past century. It hosts some 80 homes and buildings that were constructed between 1860 and 1910, and costumed interpreters bring history to life, recreating the way things were in the mid-19th century. Visitors can watch a weaver at the loom, blacksmithing, pottery makers, woodworkers and more. This coastal village also has a New England look, with its clapboard houses, stately homes and impressive gardens. Its tranquil streets and shady lanes are lined with artists’ studios, boutiques and craft shops, with a number of outstanding eateries tucked in between. Visitors can also explore the picturesque surrounding countryside as well as several islands that are just offshore. 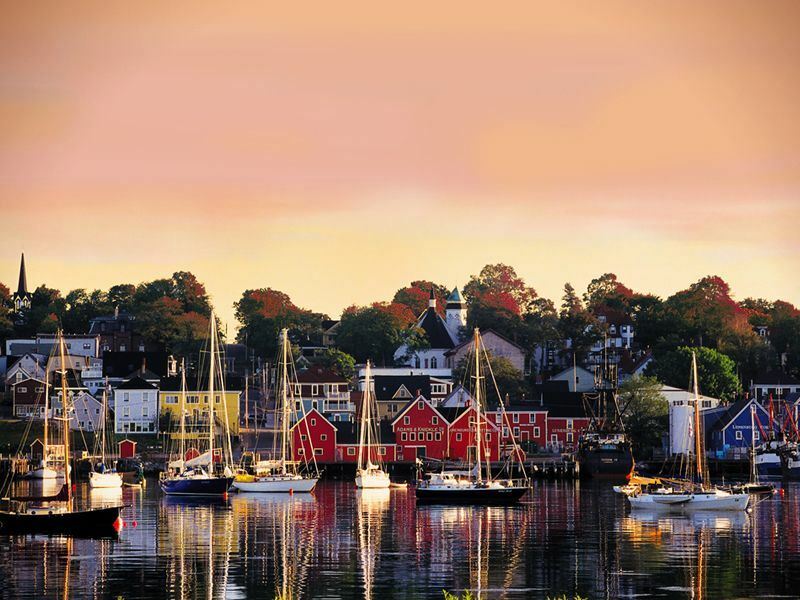 Lunenburg, situated on a harbour on the Fairhaven Peninsula, has often been acclaimed as one of Canada’s most beautiful towns, and in 1995, it was designated a UNESCO World Heritage Site for its preservation of local culture. It’s dotted with pretty pastel 18th- and 19th-century buildings and is home to the famed Bluenose Schooner, which is pictured on the Canadian dime. 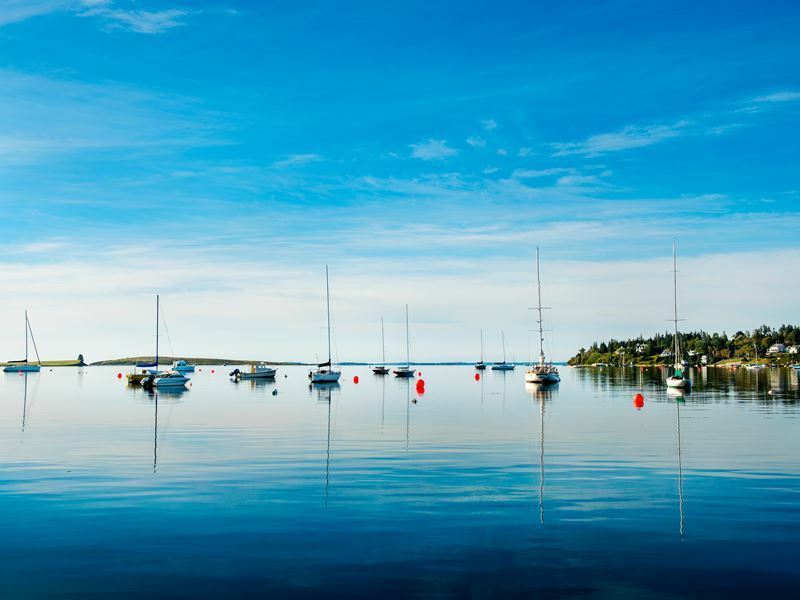 Mahone Bay sits on the shores of the bay with the same name and is known for its wooden boat building history as well as its impressive architecture and gorgeous harbour views. Photographers and artists come to capture the three attractive historic churches that dominate the shoreline and also host summer music performances. The town’s main street is lined with a number of upscale shops and eateries. Peggy’s Cove is a quaint fishing village best known for its lighthouse, one of Canada’s most photographed and most famous, which marks the entrance to St. Margaret’s Bay. It sits atop giant rocks, and with the powerful waves crashing against them, it’s been considered a sight to see ever since it was first lit back in 1915. 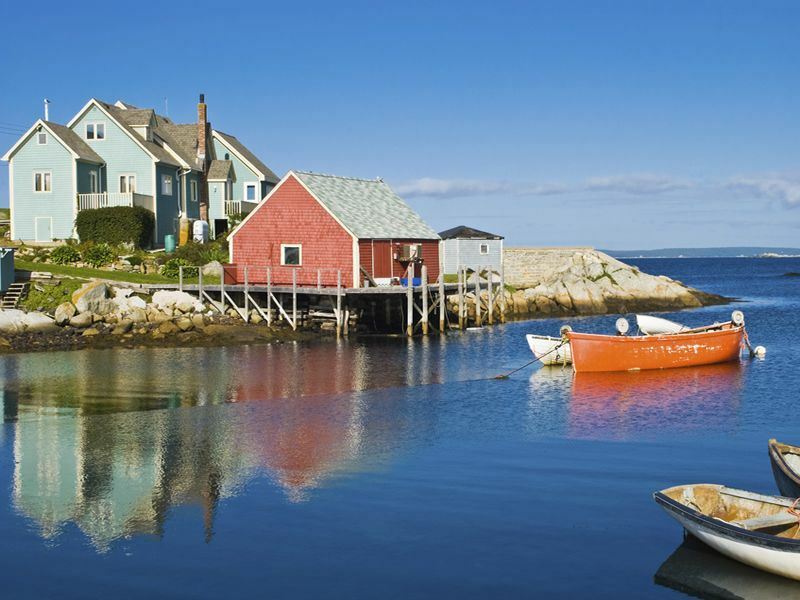 Shelburne is a charming fishing town on the southwestern shore of the province, and is considered Canada’s lobster capital. 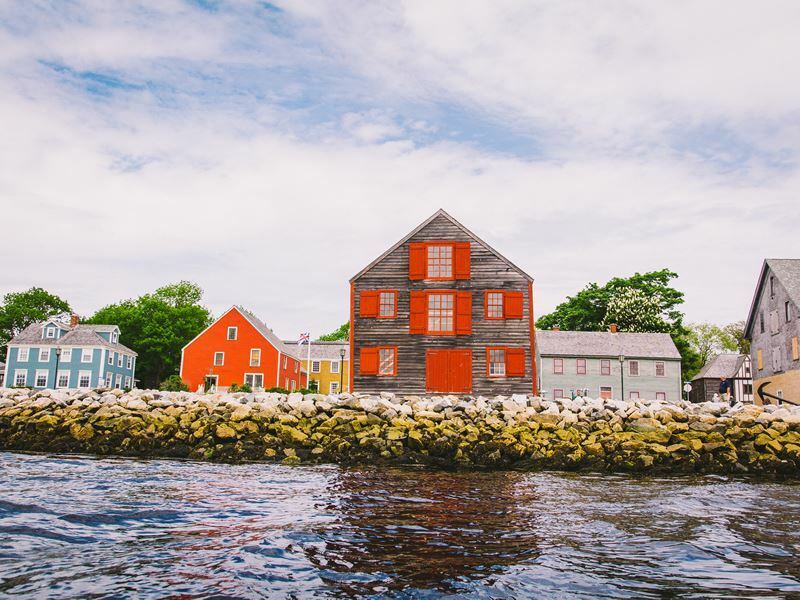 Take a harbourside stroll on historic Dock Street, go on a boat tour to see lighthouses, seals, harbour porpoises, birds and possibly even a whale, and be sure to sample the lobster at eateries like Charlotte Lane Café & Crafts, which is also famous for its seafood chowder. 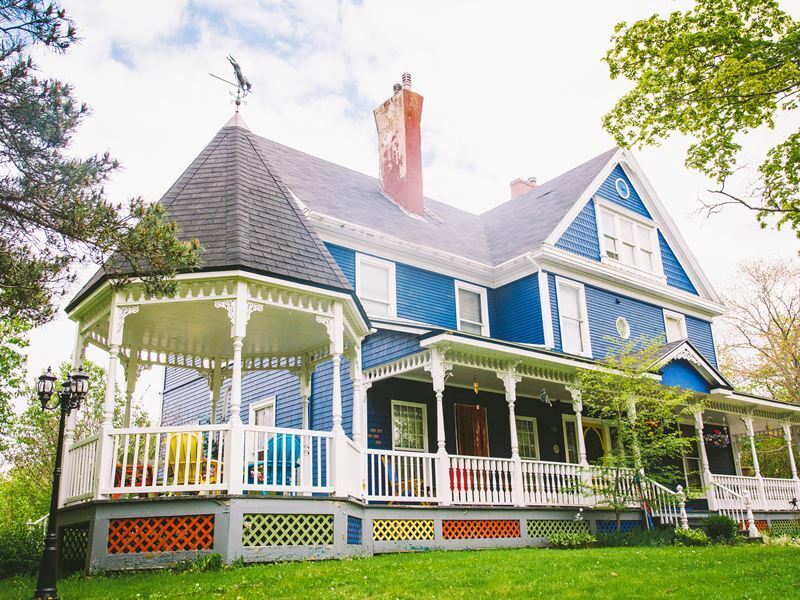 This port town on the Gulf of Maine was built on the fishing industry and has a rich heritage district filled with the mansions of former sea captains that boast elaborate features, including glass-walled turrets and widow’s walks. The Yarmouth County Museum, housed in a historic church, displays over 20,000 interesting artefacts, like the 1870's hearse, a 1921 electric vehicle and one of the largest costume collections in Nova Scotia.